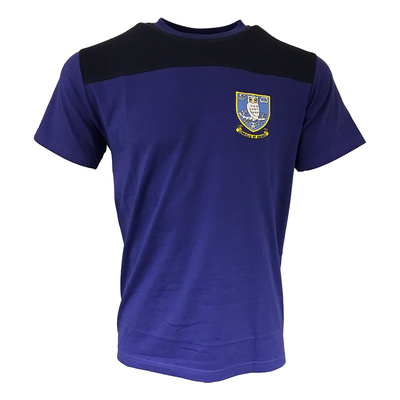 Cotton crewneck t shirt in royal blue with navy shoulder and chest panel. Part embroidery part woven crest. 96 percent cotton and 4 percent elastane.